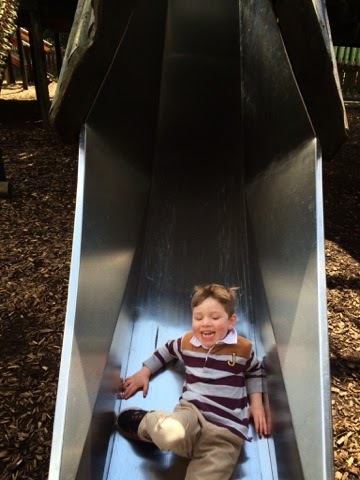 A couple of weeks ago we had a few days down in Eastbourne, visiting The Hubs Godmother, whilst we were there we were fortunate enough to visit Drusilla's park for the day. 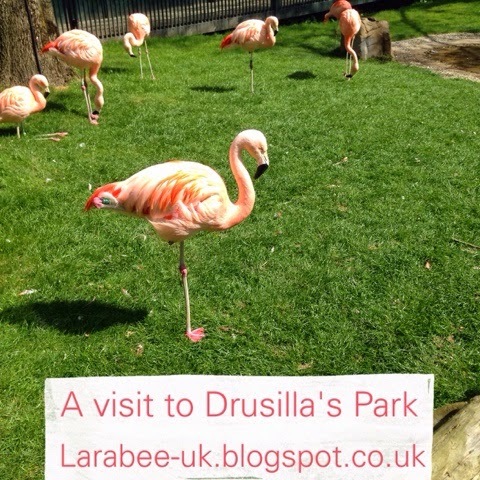 Drusilla's zoo park originally opened in the 1920's as a tea-room, and has grown ever since into the highly prestigious visitor's attraction it is today. Located just a few miles from Eastbourne, it's really simple to get to and very clearly sign-posted. We visited on a Monday morning in April, we didn't need to queue to get in which was great and the crowds were not too busy at all. 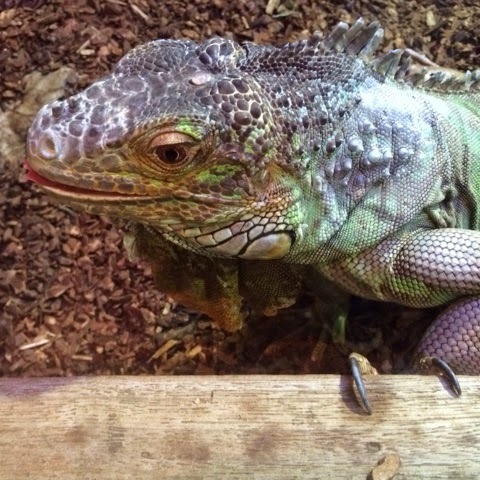 Upon entering, we were taken through into the reptile room, where many iguana's and snakes were on display in lovely big, clean and natural looking tanks. All of the animals were in really large tanks/cages with lots of room and very natural habitation. 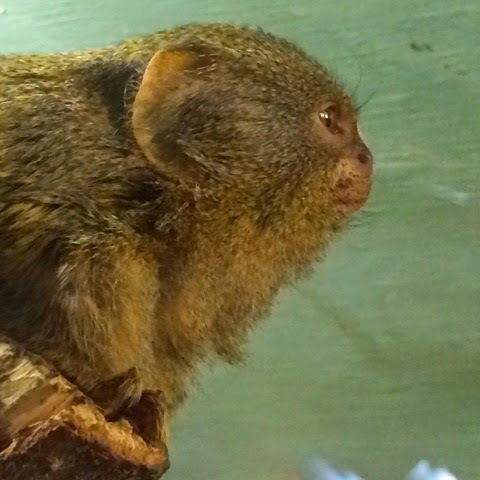 We loved watching some of the many marmosets that live at Drusilla's. 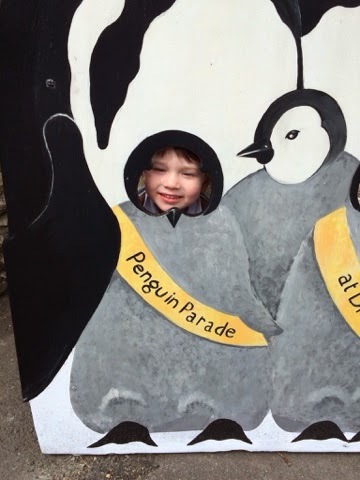 children could collect in a book to say that they had seen each attraction. There were also learning 'challenges' around the route for older children to do, we saw many children doing these and thought that it was a brilliant idea. 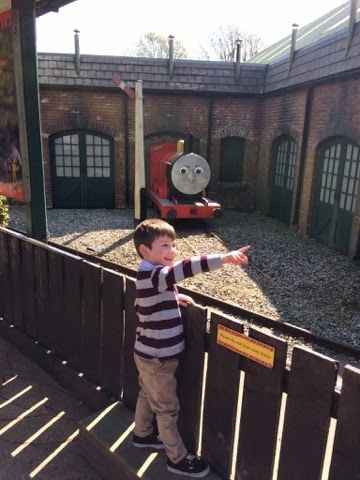 One of the main attractions was the Thomas the tank engine train, which of course was a big hit, T enjoyed watching it go round waving at the passengers before we went on it ourselves. 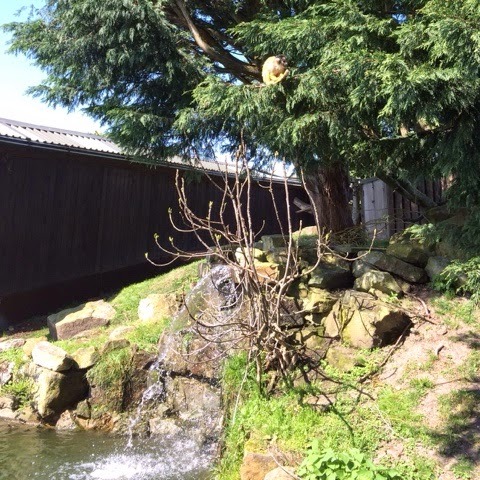 The squirrel monkey's enclosure was absolutely amazing, they had such a lot of room, which was all open and had a lovely big koi pond, The Hubs and I could have stayed there for ages, but The MIL, was worried that they would be able to jump on her, so we didn't stay as long as we'd have liked! 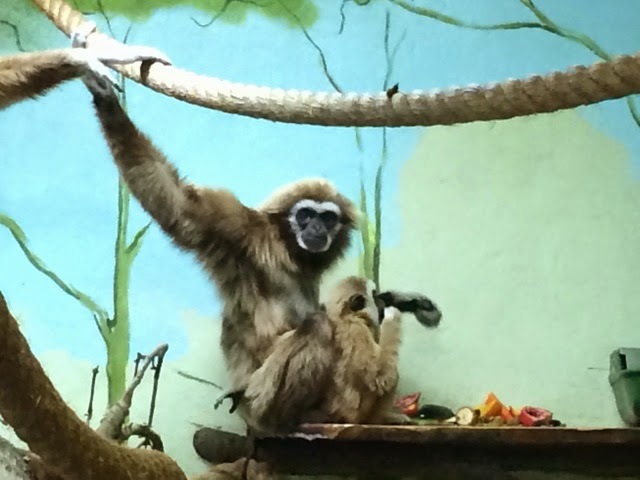 The gibbon and her baby were very cute, T particularly liked this one, although we didn't get a great photo. 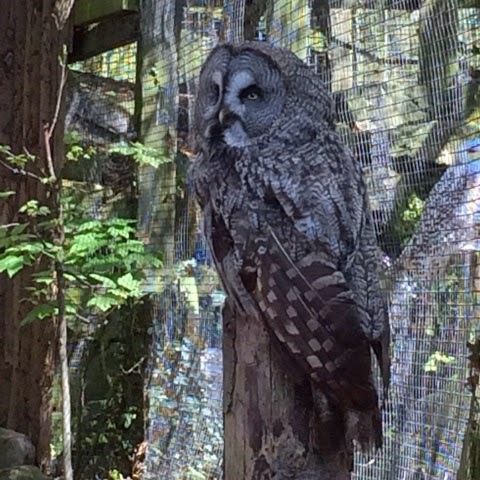 The owls, were also very impressive, there were quite a few different types and all looked really well looked after, clean and in lovely cages. 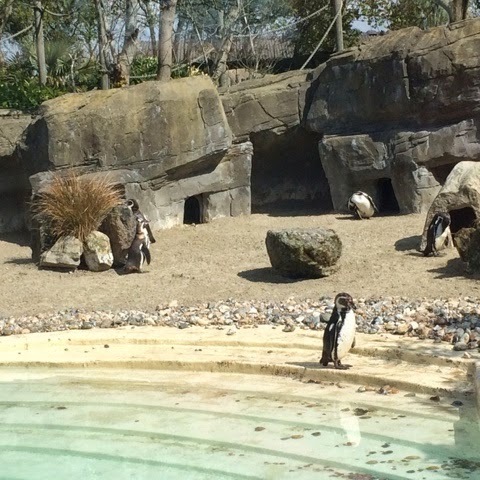 We were particularly impressed with the penguin enclosure, the cleanliness was second-to-none and we both commented about how the park in general was so clean, I appreciate that it was not peak season, but really, everywhere was spotless. All the staff we came into contact with were amazing, so friendly and happy to provide information, there's a fantastic bat and sloth enclosure which you can walk through, I loved watching the bats in the open enclosure and the sloth hanging around overhead, the keeper of this exhibit was wonderful with T, pointing out some bats for him to see and showing him where the sloth was. 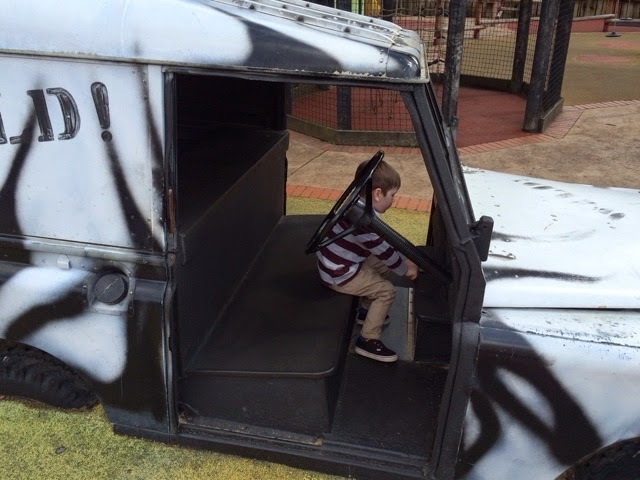 As well as all the animals, there are fabulous play areas which we spent a lot of time in, T really liked the play areas and everything was just big enough for me to get up and on too! 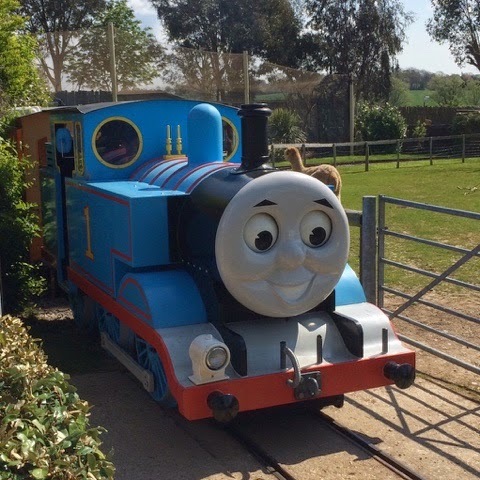 We had a great ride on the Thomas train, which goes all around the park. Because we visited out of season, some of the places to eat were not open, we ate in The Explorers café which was lovely and clean and reasonably priced with some good options, although not a huge choice, everything was fresh and looked good, we all had jacket potatoes which were around £5 with a salad. 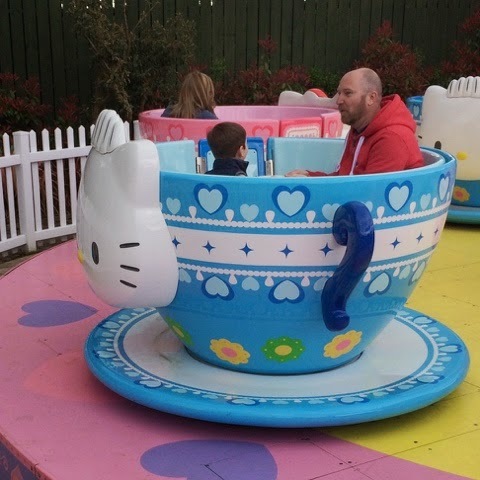 Being out of season some of the rides in the Hello Kitty Garden were only open once an hour, because T wasn't too bothered by the rides, he only went on the teacups with his Dad, queues were short and the ride was a reasonable length but as each of the 4 rides were being run by one lady, 1 was run every 15 minutes. I'm sure that the rides are managed much better in peak season. We visited the reasonably prices gift shop which had lots of gifts and keepsakes at pocket money prices. We also visited the Thomas and Friends and Hello Kitty shop, where T picked up some Thomas and Friends pyjamas from his Grandma. 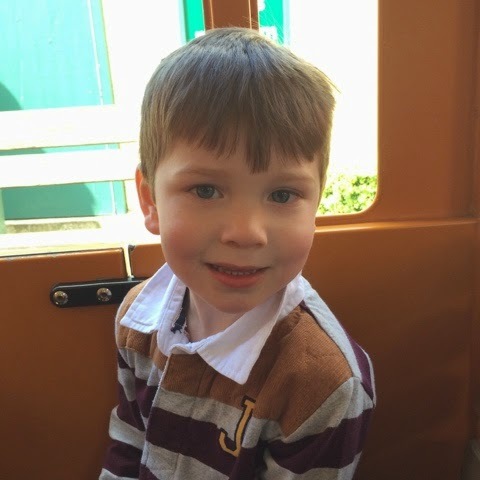 It was only when we got back that I realised that we'd completely missed the Amazon Adventure soft play area, which was a real shame as I know that T would have loved it. 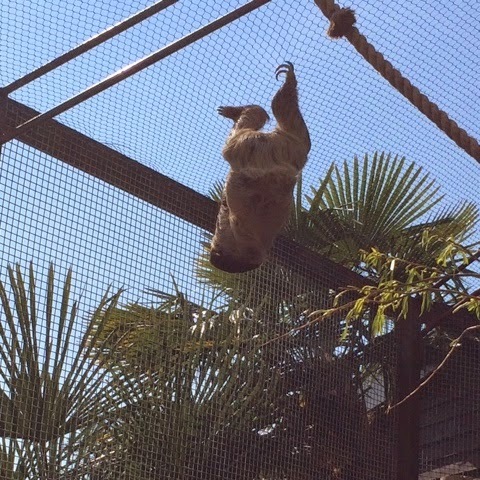 Single admission to Drusilla's park is between £13.50 and £18.00 per person for a day depending on season. Discounts are also given for multi-buy tickets. The face value of our tickets would have been £65.00 on the gate, but tickets can be purchased in advance online with additional online discounts. I'm pretty sure that this won't be our only visit and will certainly visit again when in the area. If you are in East Sussex, we had a fantastic day and we'd highly recommend a visit. Disclaimer: we were very kindly sent free entry in return for this honest review, all opinions and photographs are our own. My children used to love it here when they were young, it was somewhere the grandparents used to take them for a treat day out. I don't remember half the things that are there now, it looks like it has really moved with the times into a really great day out. 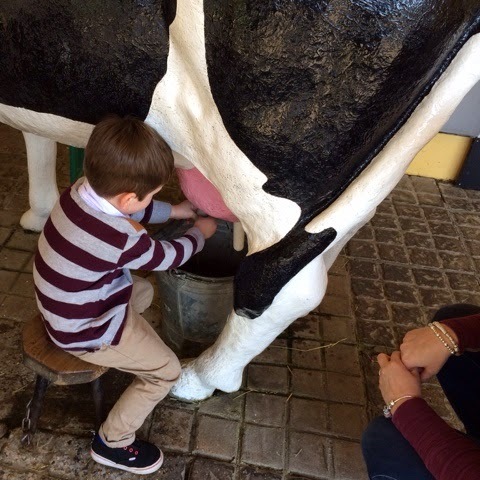 I rather fancy one of those milking cows for Coombe Mill, Nick has a little look on ebay for them from time to time, I'ms sure we will manage to find one one day. Thank you for sharing a great day out on Country Kids. That looks like a well thought out animal attraction. I like the variety of things to do - would keep both my animal mad and animal less mad children happy.